Love New Gadgets? Check This Out! We’re at a pretty exciting time in terms of technology. The evolution of what can and cannot be technologically advanced is speeding up and we’re seeing new gadgets come out in areas we might not have thought they would belong in before. 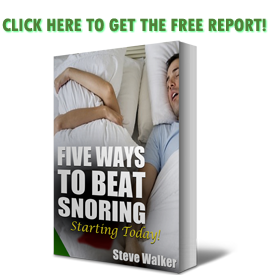 For those of us who snore, having new ways to combat an age-old problem is a great way to feel as though something is actually being done about the snoring issue. Snoring can happen to anyone and doesn’t discriminate. Young and old, male or female, people can and will snore. Some of us have a real problem with snoring. Yeah, there’s no end of home remedies to try, including the very scientific method of attaching a tennis ball to your back. 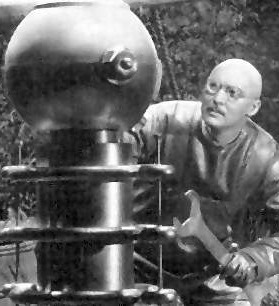 But this wearable may be a more elegant solution. The Anti-Snore Wearable – no messing around on the name – is an armband that detects when you’re snoring and emits a vibration to get you to turn over. Most people snore when sleeping on their back, so the aim is to get you to move without waking you up. The mic isn’t in the band itself but in your smartphone, which will need to be nearby running the companion iOS/Android app. The creators say it can discern between snoring and other outside noises, which is obviously going to be a make-or-break feature of something like this. Furthermore, it’s designed to work without waking you up and will only buzz when it thinks you’re in “light sleep”. Again, sounds great if it actually works. The app will also keep a record of you snoring habits, helping you identify what the cause of your noisy sleeping might be (hint: it could very well be alcohol). The Anti-Snore Wearable is available for people to fund on Kickstarter. It seems like they want to start shipping them in June of 2017 which means you’d only have a few months to wait before you’d be able to get your hot little hands on one. Meanwhile, why not check this amazing mouthpiece out? When you look at it, it seems like a nice thin armband that won’t feel uncomfortable. You may run into an issue if you’ve been trying to keep your smartphone out of your bedroom. That becomes impossible with this device as it will need to be linked to your phone in order to work properly. The upside is that it just needs to be within your Bluetooth and microphone range so you don’t necessarily have to have it right at at your bedside if you find your phone distracting. You may not get the results you want if it’s too far away, however. This device, provided it will work the way it says, will be a nice change from your partner trying to rouse you enough to have you roll over. We all know that this attempt usually ends with the partner fully awakening the snoring one and then no one is getting a good night’s sleep. Bad sleep=bad day so let’s keep an eye on this one!